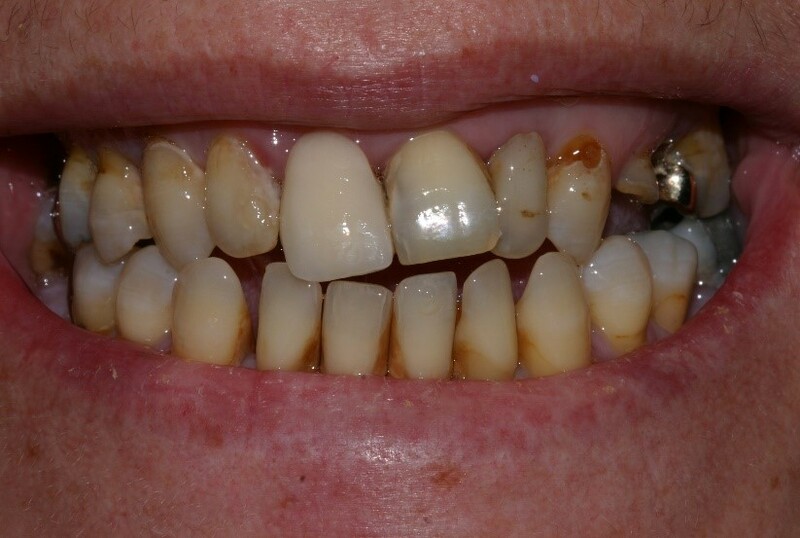 Kathy had uneven, discoloured front teeth, causing both embarrassment and pain. 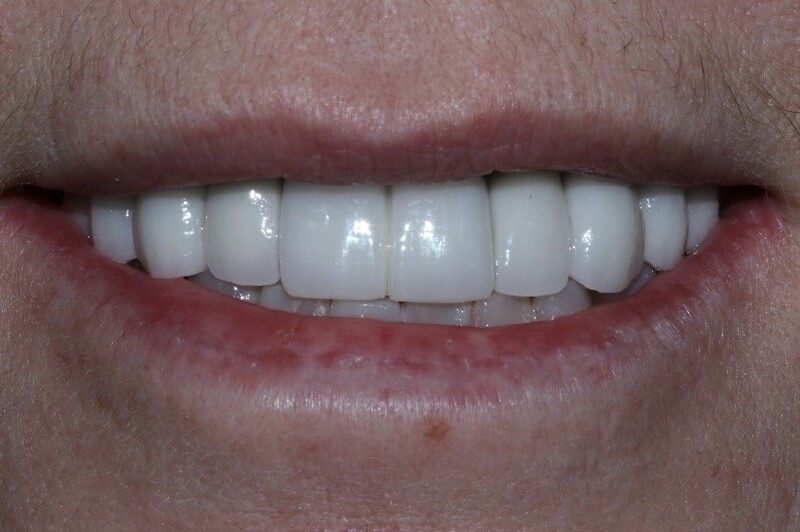 We placed implants and crowns to stabilize the front teeth and even out the smile. The transformation is a great boost to her self confidence.